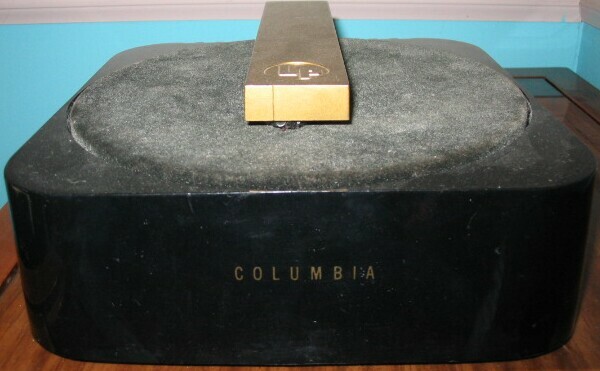 Columbia had earlier marketed a relatively large attachment made for them by Philco. 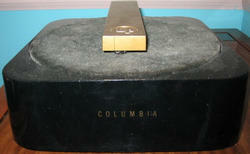 This much more compact player was a product of V-M. So...how small is it? Small enough to compete for tight spaces with the RCA 45 players! Small enough to disappear under a 12" record--and play it! 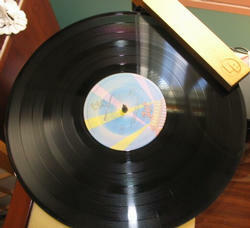 And here's the secret: The arm slides away from the player on a retractable bar. 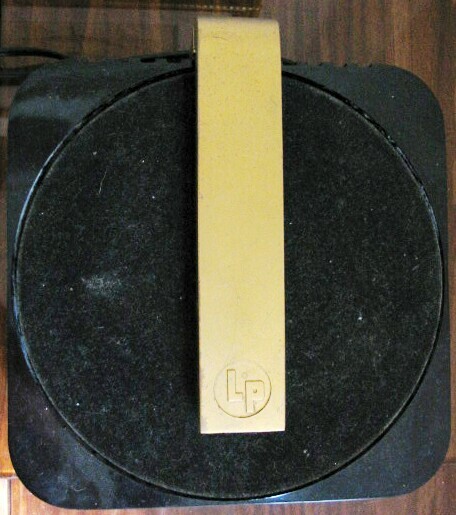 When the bar is fully extended, it engages the power switch. 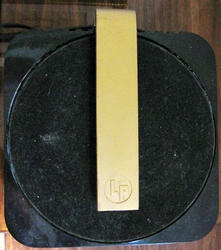 The cartridge is mounted at an angle to minimize tracking error. 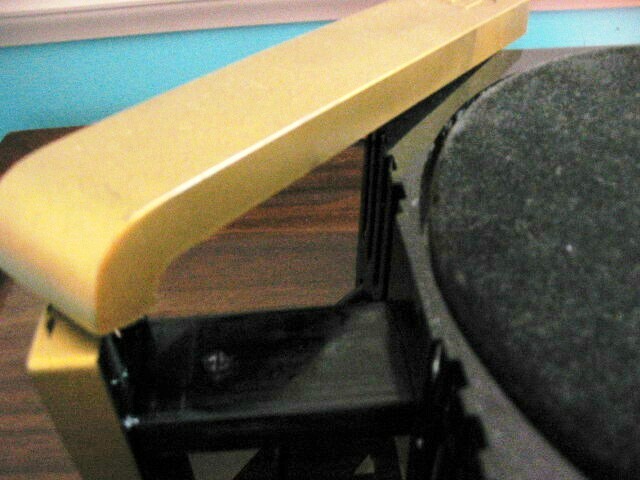 The tone arm snaps onto the spindle when not in use. I replaced the crispy, crackly original line cord with one of Bob's Antique Radios' reproduction cords, a reasonably close match. 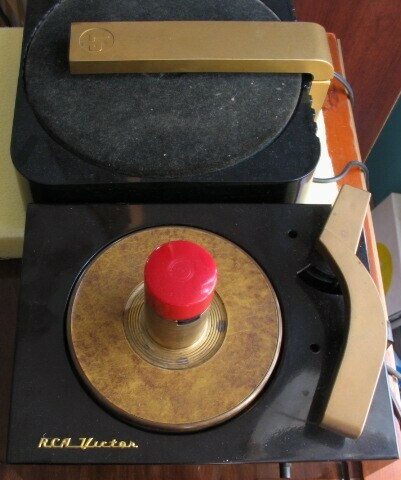 Thanks goes to Ross Rian for restoration of this turntable.